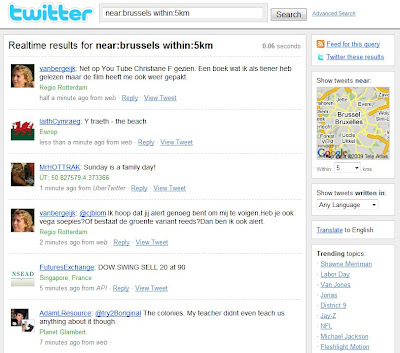 De blog Mashable heeft vijf Red Hot Twitter Trends to Track geïdentificeerd. De eerste top trend is location-aware tweets. Location-aware tweets are a monumental development for Twitter and could position it as THE location-based social network, because each tweet will be like a check-in at your location. The volume of data around locations, places, and tweets will be incredibly powerful.